A telescopic handler, or telehandler, is a machine widely used in agriculture and industry. 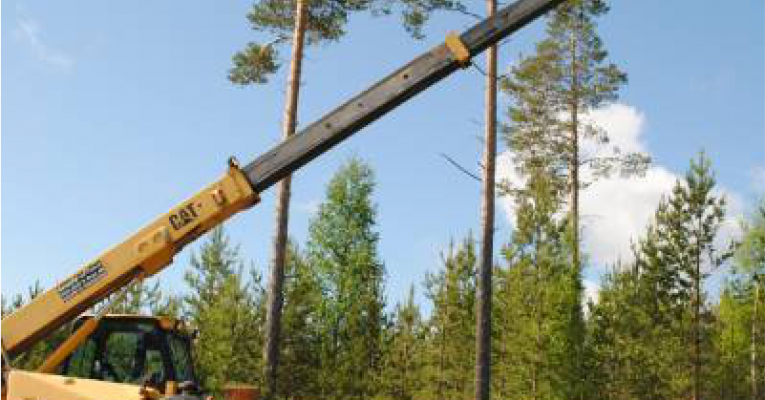 It is similar in appearance and function to a forklift but is more a crane than forklift, with the increased versatility of a single telescopic boom that can extend forwards and upwards from the vehicle. On the end of the boom the operator can fit one of several attachments, such as a bucket, pallet forks, muck grab, or winch. We stock JCB and CAT telescopic handlers.